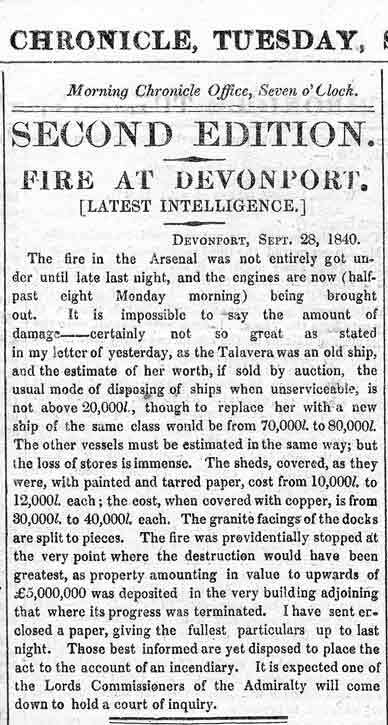 One of the most devastating fires that took place in Devonport dockyard occurred on 25 September 1840. Below are readable images of the original newspaper articles of the event, published on three different days shortly after the fire. 1. 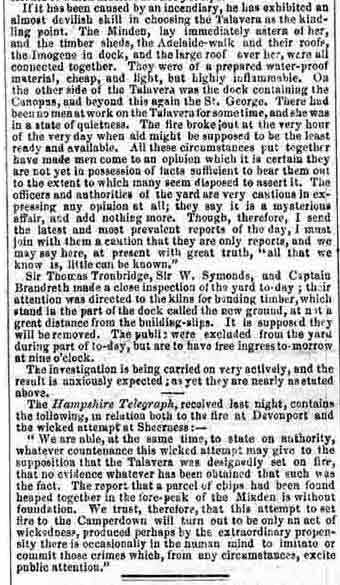 The Morning Chronical, London, 28 September 1840. 2. The Morning Chronical, London, 29 September 1840. 2. The Morning Chronical, 29 September 1840. 2nd Edition. 3. The Morning Chronical, London, 5 October 1840.